Could the Mercedes-AMG E63 S Wagon pull you away from the BMW M5? Imagine you’re in the market for a 600 hp super car with four doors and enough trunk space to carry your gear and your kids’ stuff. Not a bad life, right? 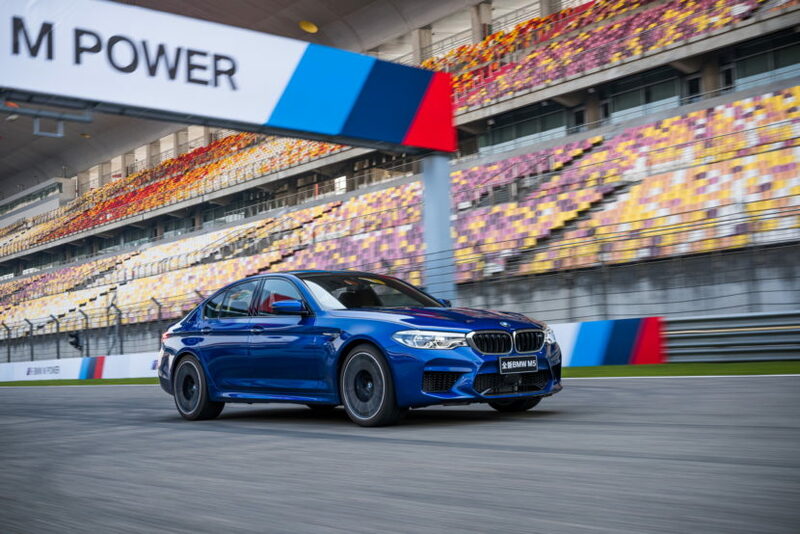 If you are in that market, there are really only three realistic options (Ferrari GTC4 Lusso aside) — the Audi RS6 Peformance (Europe-market only), the brand-new F90-gen BMW M5 and the Mercedes-AMG E63 S Wagon. Not a bad trio of cars to be cross-shopping, as all three cars are excellent. Though, it’s really only a two-horse race, as the Audi RS6 is currently on its way out the door and far older than the other two cars. While it’s still superb, its tech and luxury are seriously dated compared to the BMW and AMG and if you’re going to spend six-figures on a car, you’re going to want the latest and greatest. So it’s really a choice between the Mercedes-AMG E63 S Wagon and the BMW M5. If you’re a frequent reader of this site, it’s likely that you’re a fan of the Bavarian brand. If that’s the case, you might be leaning more toward the BMW M5 and we wouldn’t blame you. 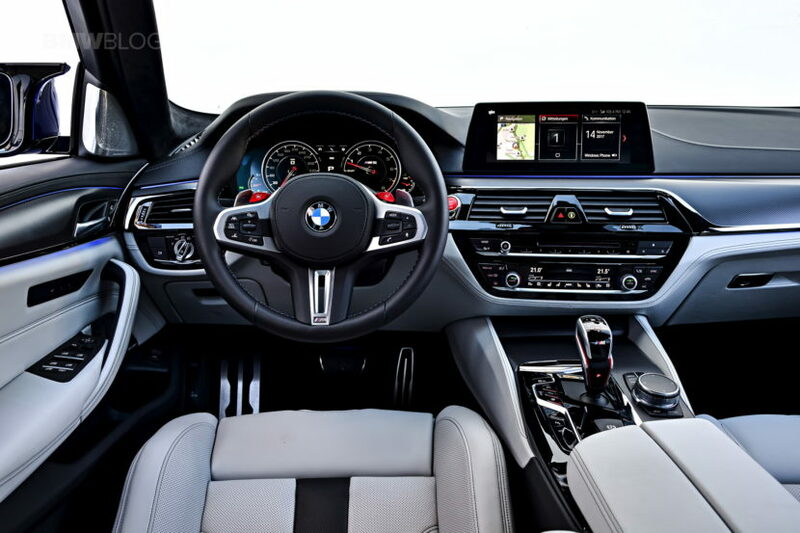 With its 600 hp twin-turbocharged 4.4 liter V8, all-wheel drive with the capability of being rear-wheel drive and monstrous performance, the new F90-gen M5 is a seriously good car. It’s also great to drive, being closer to that old familiar BMW M feel than any other M-badged car in recent years. However, there’s one factor that might lead you to stray from your favorite Bavarian brand for its cross-town rival. The new BMW M5, despite it being perfect for it, does not come in wagon form. Despite being all-wheel drive and automatic-only, the perfect recipe for a do-it-all wagon, the new BMW M5 comes only as a sedan. Which is a real shame, as this current-gen is literally perfect for a long roof. Hell, the new G30 5 Series even looks awesome as a wagon. 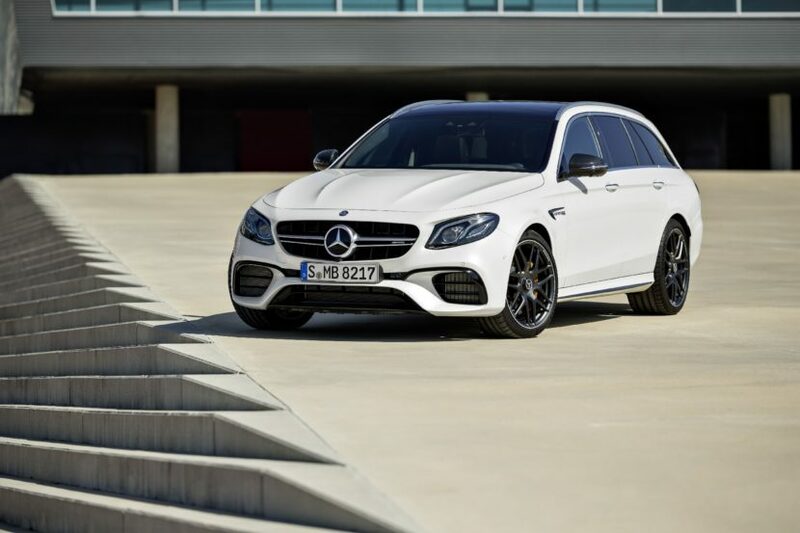 Though, the new Mercedes-AMG E63 S Wagon is offered as a wagon and, being that the two cars are so similar in every other aspect, it could draw some customers in this segment away from the M5 just for that reason alone. It’s really one of the only differences between the two cars. Like the BMW M5, the Mercedes-AMG E63 S also uses a twin-turbocharged V8 (4.0 liters, rather than 4.4) which also makes about 600 hp. That mighty V8 is also paired with an automatic gearbox and all-wheel drive. Just like the M5, that all-wheel drive system is capable of being completely rear-wheel drive and, actually, the AMG was the first one to do it. Both cars also get from 0-60 mph in a claimed 3.4 seconds and both can tickle the 200 mph mark. So there isn’t a lot to separate these two cars, aside from maybe character and driving dynamics. So the fact that the AMG comes in wagon form but the BMW M5 is stuck with a conventional trunk, might make some customers, even BMW fans, just on the AMG bandwagon. Car enthusiasts love wagons and the rarity and sheer hilarity of having a 600 hp, all-wheel drive wagon might be too much to resist for any enthusiast in the market. Even a BMW fan. Previous post What was the best car you drove in 2017? I would choose AMG over M5 for the first time. Because it’s a wagon. Never liked wagons. M5 without a shadow of a doubt. AMG wins this one hands down. More characterful motor and a vastly superior interior. I’d have mine in that Magno black and have RennTech do their new ECU tune for ~800 bhp and 2.7s to 60. Lol have you priced one? When you’re spending your own money it becomes difficult to justify the insane Alpina premium, just for the sake of having a wagon with no M dividing input. Insane Alpina premium? I see 117, 900 € for the base M5, 115, 300 for the base B5 Touring. Basically the estate is cheaper than the saloon, which is even more impressive. How do you get ALPINA 5 series wagon in the US? Didn’t you say before, E Class is faster and better than M5? I really don’t understand wagons, they must all cease to exist. Ignorance isn’t an argument, your inability to understand something is literally announcing your limited intellectual capacity to the world. So what else does crystal ball tell you today? Nico, you forgot to mention another alternative to the fast estate/touring segment which has already been metioned somewhere here in the comments section and that’s the Alpina B5. Not as overtly sporty as the AMG but still possessing a mighty punch from a twin-turbo 600hp+ V8 with more torque than the M5. You’re absolutely right. And that comes in wagon form, too. Plus, it’s far more exclusive than both the AMG and M5. That wins. Good call. If you’re a type of guy who wants lots of attention and a type of guy who would buy a Red Corvette, then the M5 is for you. If you want something stealthy, practical, sleeper car, then E63 S wagon is the one. For me it’s the E63 all the way, at least for this generation. Oversized/overpowered wagon > oversized/overpowered sedan.